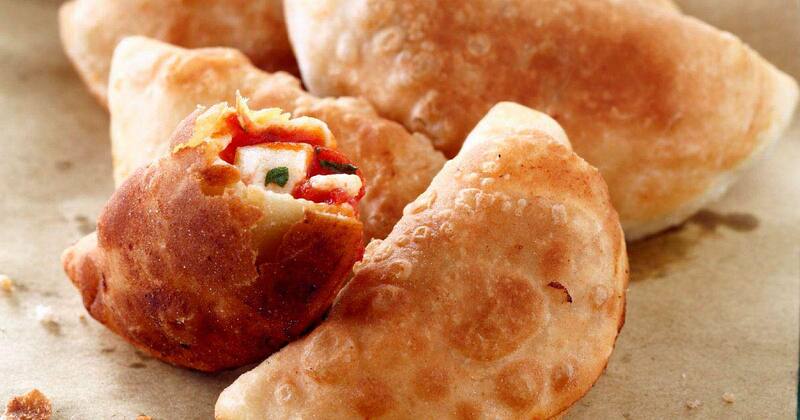 Panzerotti are deep-fried pockets of dough filled with mozzarella and tomato sauce. These crisp golden pillows are best eaten whilst hot, but watch out for that first bite! As with many of the delicious dishes in Italy, panzerotti (or ‘panzerotto’, singular) is a typical example of regional ‘cucina povera’ – or peasant cooking, originating from Puglia. Panzerotti were a tasty way to make use of left over dough from bread making and utilising some of the most common ingredients found in an Italian home, namely mozzarella and tomatoes. 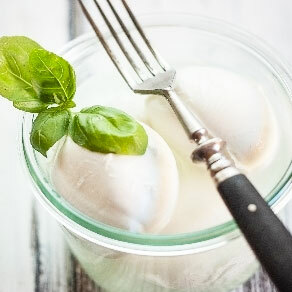 Whilst the classic filling of mozzarella, tomatoes and oregano is also the most widespread, many variations exist. 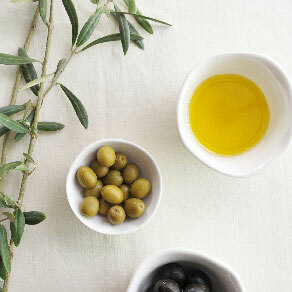 Some other popular ingredients you will find in the south are influenced by their regional produce as seen from the variations in cheeses – ricotta forte, scamorza cheese, and it’s also common to find anchovies, prosciutto or olives added in. This speciality from Puglia is a street food favourite found at local delis, pizzerias and bakeries all over the south of Italy where they will fry them at the time of your order – it is not uncommon to see a line outside the popular spots with people waiting for their steaming hot panzerotti. Prepare this street food from southern Italy in your home and make sure you are not alone – these are dangerously addictive! Or do it like they do in Puglia – make it a panzerotti party with family and friends and get everyone involved in making them. Any panzerotti (before frying) can be frozen, to be cooked and consumed at a later date. 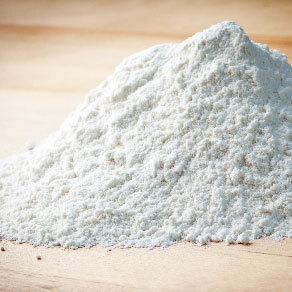 Make the dough: In a large bowl, mix together the two flours. Dissolve the yeast in some of the warm water, followed by the sugar. Dissolve the salt in the rest of the warm water. Add the yeast and sugar mixture to the flour, and slowly add the salt water whilst using your hands to bring the dough together. Drizzle in the oil, and turn the dough out to a smooth surface and continue to work with your hands until it is soft and smooth. Divide the dough into 20 pieces and then shape each piece into a ball. Place the dough balls on a lined baking tray, cover with plastic, and let them rise until they have doubled in size, about 2 hours. 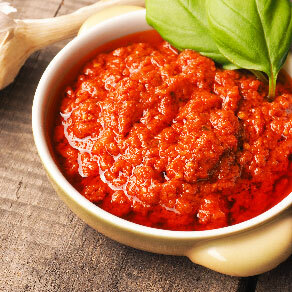 Meanwhile, prepare the filling: chop the mozzarella into small cubes and in a medium bowl, stir in the tomato purée. Season with salt and stir in the oregano, to taste. When the dough has risen, heat the frying oil in a deep frying pan. On a lightly oiled work surface, roll each dough ball into a 20 cm disc. Place a heaped tablespoon full of filling on one half of each disc. Carefully lift the dough from one side to fold over the other, forming a half moon shape and press down with your thumb to seal. Now, to create the classic panzerotti shape and also to ensure the panzerotti don’t open up whilst frying: fold the edges over themselves, and use the tips of a fork to press them down. Heat enough oil in a deep skillet. Working with just a couple of panzerotti at a time, place carefully into the boiling oil, turning over once to ensure they are cooked evenly, until golden on both sides, about 4-5 minutes. Use a slotted spoon to remove the panzerotti and transfer to paper towels to drain. Repeat with the remaining panzerotti and serve while hot. The name ‘panzerotti’ comes from the word ‘panza’ – the Pugliese dialect for ‘pancia’, meaning belly, after the way the pastry swells up like a bloated belly when it is fried in the oil.